Nowadays, you can pretty much find an automated teller machine anywhere and be able to withdraw money at any time. There are machines that accept cash and check deposits as well as the ability to check account balances and withdraw money from credit and checking accounts. Here are two types of ATMs that you might recognize when you’re going to withdraw money. Equipped with several different kinds of software, ATMs can show you your complete history of transactions and how much money is in the ATM. ATM software offers businesses and banks programs that fit their needs to be able to meet the needs of their customers for built-in ATMs. The ATM software is easy to use yet advanced enough to transfer money and accept deposits. This can be a complex issue for Bank ATM software to audit. Some of the features that manufacturers offer include security cameras and personal ID numbers to protect their customers and owners from fraud. Some of these features require bank members to use a key or passcode to get into their vault. You will find security cameras on these freestanding ATMs for safety and to deter vandalism. You can find built in ATMs attached to the wall of a business. You will also find them behind the wall of a bank. Tellers are behind this wall so the customers cannot see the hidden security features. You may notice freestanding or wireless ATM services in Colorado and consider them a general ATM. But they are quite different from a built-in ATM. You will find these ATMs in businesses, drive-thru lanes, and even on the street during an event taking place. They are safely secured to the ground. These stand-alone ATMs are perfect for customers that need quick cash for extra groceries, or perhaps a restaurant or an event doesn’t accept cards. Unlike built-in machines, these do not accept financial deposits into a bank account. They are strictly for withdrawing money. Perhaps you’re considering an ATM at your next event. Whether large or small, you know you need an ATM to service your customers properly. One benefit of having an ATM at your event is the ability to increase sales. In order to properly go about this endeavor is to contact an ATM sales team member in Denver. When you want easy access to your cash, and the right ATM for your event or business, Mile-High ATM in Colorado will help you make that happen. They offer the most efficient ATM based on your needs. Offer your customers a little more, and contact the Mile-High ATM team today for more information! So you’re inquiring about getting an ATM for your business. Now that you’ve established a healthy following and are generating consistent revenue, you can accept it as a part of your (commercial) family. So it’s important to supply your machine with the necessary items for productivity. Your ATM service Colorado salesman should equip you with the right supplies so your event or business isn’t lacking in any way for your customers. This may seem obvious but often times ATM paper is the first thing to run out. When you’re storefront or event is busy, the last thing you need is to wait to tell you customers that you ran out of paper and cannot print receipts. Make sure you have extra on your supply list when you order from your Denver ATM services. You’ve spent a great deal of time and effort into vending and promotional services for your next upcoming event. Now that you’re having an ATM installed for your guests, you aren’t worried too much about the convenience and generation of sales. So come time for the event, you want your guest to spot the ATM right away without having to search the event venue. ATM wraps help your machine stand out in the crowd and make it easier for people to remember where it’s at when they need to withdraw money. This follows suit of the importance of the paper rule and must be stocked for efficiency and customer satisfaction. Entrepreneurs need receipts to keep a record of their spending, especially come tax season. It’s important to keep this in mind when stocking supplies. Some items aren’t on your immediate supply list but are just as important to take note of. Keyboard pads wear quickly, especially in heavy traffic areas. It’s important to take note of the wear and try the keys yourself to ensure that they are working properly. If possible, pay attention to the individuals using the machine. Watch to see if it’s a struggle to press the keys or if you notice them pressing the keys more than twice during a transaction. This could be a sign that your keyboard needs a replacement. Another important item with considering is the card reader. While it’s more likely to encounter a worn card strip than a faulty reader, it’s important to fix this element of your machine to ensure a smoother process. Don’t wait until it’s too late to order your ATM supplies for your business or next event. Your business and guests aren’t going to wait – or stick around! – unless you refill that paper cartridge. Get in touch with an ATM placement Denver sales representative today. 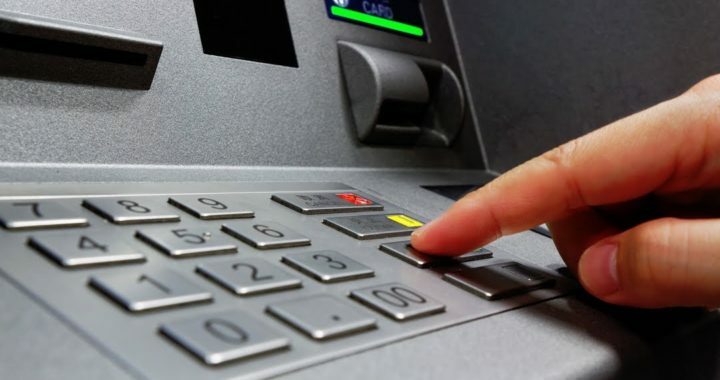 Your local and trusted experts at Mile High ATM Service have delivered ATM machines all over the Denver area, and continue to supply their customers with the most efficient products for their business needs. Surveillance cameras and alarms help keep unwanted crime at bay. However, when security cameras are lacking at important places such as the banks and ATMS, your identity is at risk. Video monitoring at your ATM bank is crucial to avoid these sort of crimes and prevent them from wreaking havoc in your future. Do Bank Cameras Really Do What They Say? 15 million Americans have their identity stolen each year. Bank security cameras offer the type of security that can deter bank crimes, do continuous monitoring, and even help crime investigations. This type of security also offers trust and remote access, safely. So next time you see a video monitoring system at your mobile ATM Colorado, you can rest assured they have your back. Imagine if a thief tried to take advantage of your identity but stopped in fear of getting caught? Video monitoring is like having an extra set of eyes watching out for your best interest. Storage: With video surveillance, you can always guarantee access to the files. Its digital memory makes it easy to run through the files over and over for accuracy. This prevents thieves from getting too far. Remote Access from Anywhere – Another important reason to have video surveillance on a bank site is remote access to live footage. Video surveillance is easily hooked up to law enforcement and they can attend the scene more quickly should an incident occur. 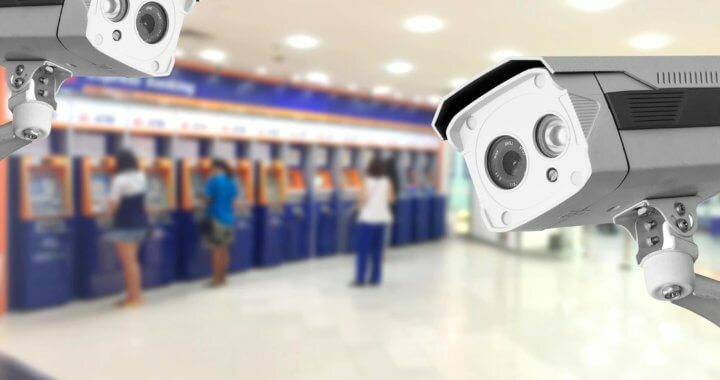 Multiple Location Access – Most bank video monitoring systems have a central monitoring system that allows local video surveillance to be transferred to a bigger hub. Nowadays, surveillance videos can be viewed and accessed over the internet as well. Data Recognition – Most modern surveillance cameras can easily identify the thief, transaction numbers on paper, and much more. Advanced technology allows a clear vision of what’s being viewed on camera. Intelligent function & Alarm System – The technology today allows for alarm systems to be integrated into one signal network. This kind of intelligence allows the video monitoring systems to pick up facial and behavior recognition and motion sensing. Enhances Confidence – More importantly, video monitoring provides peace of mind when it comes to the transfer of your funds. Modern technology makes it possible to catch and track all theft and questionable transactions. Do you need an event ATM in Denver? These money cash machines make it simple for your customers to withdraw money at your event. Our wireless ATM service in Colorado is affordable, reliable, and includes theft protect features for identity fraud safety. Contact Mile High ATM for more info today! So, you’re standing at the gas pump and you slide your bank card through the machine for payment. Little do you know, that one swipe can leave you in a compromising position. Cashout attacks, like Jackpotting, are no joke. They happen to the best of us. In fact, over 11.5 million dollars of unauthorized transactions were taken at a bank in India. Millions of people are victims of cash-out attacks in the U.S alone. So how do you prevent this fraudulent activity from finding you? 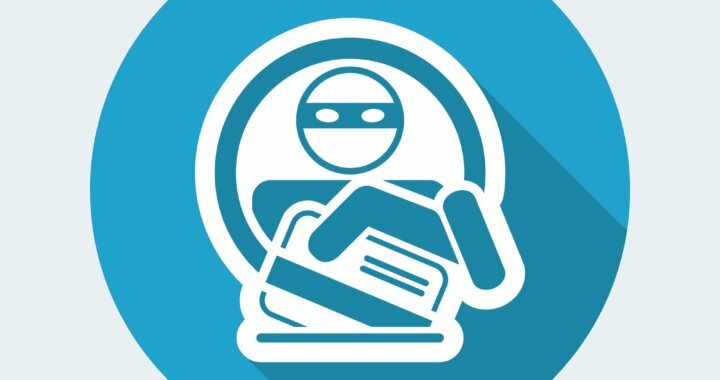 These preventive steps will help you gain a better understanding of cash-out attacks and what to look for. 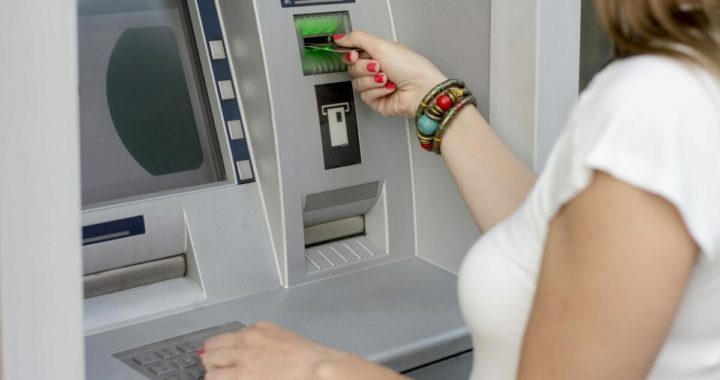 In August 2018, banks across the country were warned of malware attacks that could threaten the ATM ecosystem. This alert took banks to the next level with security. Whether you’re withdrawing funds from an ATM or paying for gas at a station pump, you could be a victim of a cash-out attack. These frauds occurs when the criminal(s) have installed software (malware) onto an ATM machine. This allows the criminals to gain complete access to your funds by digitally tracking your account. Memorial Day of 2016, attackers managed to siphon $570,000 from a bank, according to resources. Because Denver ATM services is susceptible to these attacks, the Colorado Bureau of Investigation suggests reporting all questionable activity to law enforcement right away. But how does one know how to spot it before they are victimized? In order to better protect your financial states, banks are taking these steps to ensure ultimate safety. Additional password authentication such as one-time password usage will decrease your chances of fraud. Every few months, choose a password that has a scheduled expiration time. This will keep your accounts active and secure, leaving little to no trace for criminals. Your digital signature adds a security feature that makes it impossible for criminals to mimic. From shopping to online buying, a digital signature will increase security because of code-signing techniques that allow the bank to recognize that you are authorizing that transaction. Digital signatures are especially recommended for an event ATM in Denver where the population of people is high. Believe it or not, you could actually be giving criminals access to your bank account without realizing it. In order to prevent this, remove admin rights to any network online. This will prevent attackers from trying to move in and install malware and pretending it’s you. Do you have questions about ATM processing in Colorado? Perhaps you need an ATM for an upcoming event. Mile High ATM services are here to confidently answer your questions and provide an ATM for your needs and business. Contact us today for more information! 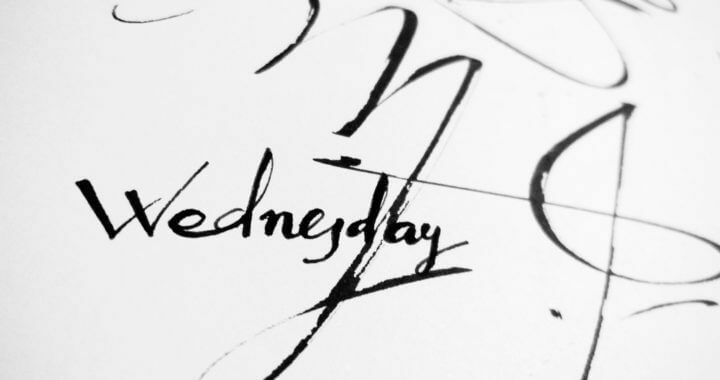 Why is withdrawing cash on Wednesday important? Withdraw Cash Wednesday (WCW) is a new initiative by ATMIA to remind consumers that they should withdraw cash in advance for the major shopping day of the week which is Friday. It is basically a promotion to withdraw cash from ATMs on Wednesday. This initiative brings out more visibility of the usage of ATMs around the busiest times of the year. This campaign did not only start to increase the usage of ATMs during the busy season but also to make the consumers aware what are some of the problems they might have to face during the holiday season while withdrawing cash. There was once a survey by Bankrate.com that showed that around 24 percent of American adults had no money saved for emergencies like medical bills or when they were laid off. The basic strategy which is recommended to save money is to control spending using cash. And this is just not a personal opinion. The 2017 Health of Case Study by Cardtronics stated that 75 percent of consumers believed in paying in cash to save money. Cash proved to be an effective way to stop them from overspending. I personally feel that as well and it has always been effective for me to stay on budget and save money by using cash. Richard Kestenbaum who is a contributor from Forbes said that customer loyalty comes with a lot of things which includes understanding the customers and their needs. Quite obviously, customers want their options be it cashless or cash only. Around 89 percent of the American consumers like to have the option of various methods according to Health of Cash Study. 61 percent of the population does not like it when retailers do not accept cash even if they prefer to pay in cash. So, it only means that just like anything else more than half of the population likes to keep their options open to every payment method. This is not only a good news for the consumers but also the owners of establishments because they could see a visible increase in their sales after this initiative. In a study sponsored by Cardtronics and conducted by an independent research firm Scansion, the sales in a drug store doubled with an ATM in the store. According to “Global ATM Market and Forecast to 2022”, there are 66 percent ATMs that are nowhere near a bank branch and many of these offsite ATMs are not even owned by a bank. 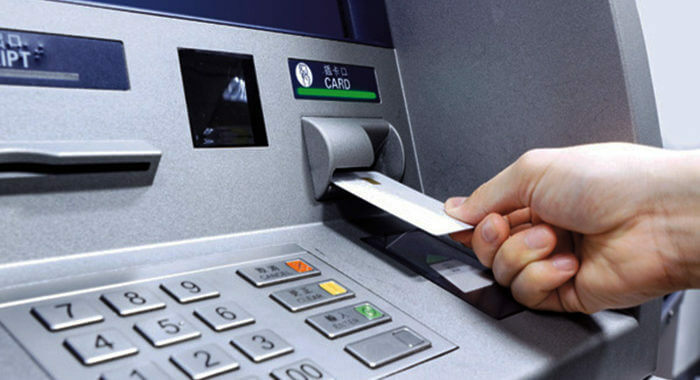 It is however, becoming easier for customers to find a surcharge-free ATM to access cash. In the truest sense, bitcoin ATMs aren’t actually ATMs. They serve as centers to buy and sell bitcoins. These “BTMs” offer bitcoins to people who are not a part of the banking system. Bitcoin ATMs are preferred by people because of the privacy they have to offer. The BTMs can be easily found online. Once you locate one near your house, you can use their services. Not all, but most of the BTMs offer a two-way support system, where you can buy as well as sell bitcoins. 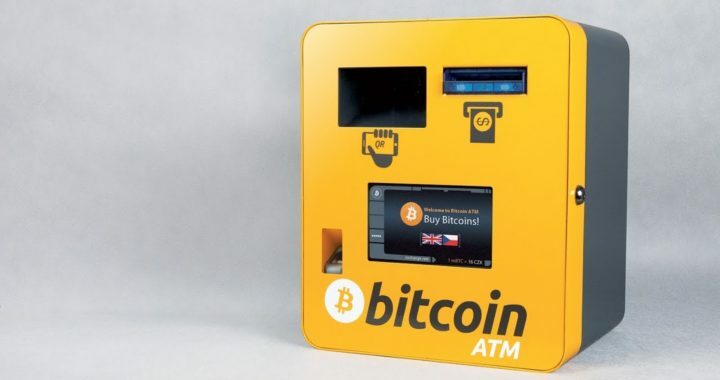 The common bitcoin ATMs found will allow you only to buy bitcoins with fiat money. Fiat money is a legal tender issued by the Government of any particular country in the local currency. Most of the BTMs require a valid ID and a phone number for any sort of bitcoin transactions through the ATMs. It all depends on the operator and the machine the level of personal information that one may have to reveal. This, in turn, helps keep your bitcoins safe. A BTM is very similar to an ATM. Here also you need an OTP to proceed with your transactions. You will require entering the fiat notes one after another in the machine after you have gone through the verification procedures to buy the bitcoins. Once the money is deposited, you will get a printed offline wallet or bitcoins in your Bitcoin wallet. In some cases, you may also experience bitcoins being sent to your email address. For the ones using a Bitcoin wallet for the first time, you get a paper with a QR code on it. Upon scanning the QR code, you get a private key that gives you access to your wallet and the Bitcoins you have bought. You can alternatively receive bitcoins through emails after the QR code is sent by mail. These emails can also be encrypted by setting passwords. After purchasing the bitcoins, you can either use them or invest them. Usually the price of bitcoins is 5-10% higher than the present rates at the exchanges. Selling bitcoins is an easy procedure. You just have to enter the amount of Bitcoins you want to sell. Next, send it to the address as displayed on the machine. The fiat money will be dispensed once the transaction is completed. The selling price offered at BTMs is also 5–10% lesser than the exchange rates. BTMs are secure in the sense that they save Know Your Customer (KYC)/Anti Money Laundering (AMC) and look over any suspicious activity. Once everything is verified, you are allowed to buy bitcoins. One can withdraw bitcoins from their wallets and buy as many as they want provided the operator has those in stock. The BTM operator has to meet some stringent rules and operating a BTM is a challenging task for them. By registering themselves under the federal financial crimes enforcement networks and obtaining the money transmitter license they can carry on their process of helping people with the bitcoin transactions. Are you wondering how you can generate more profit each time you plan a business event? We’ve got the easiest and best solution for you with mobile ATMs. A mobile ATM is something that can make your event more profitable and successful. Up to 75% of money that people withdraw from an ATM installed at an event is spent at the event only. Doesn’t that sound great? If you’re a business owner or an event organizer you may have built marketing strategies to make your event a hit. But rather than that you can put the same money into the installation of mobile ATMs at your venue. You should consider hiring ATM services which are not only very reliable within the industry, but the most dependable products as well. An organization that already has a good position in the market will supply you with machines that can help you withdraw the cash you need on the spot. In addition to the fact that mobile ATMs give you instant and definite profits, the providing company will also deliver and install them at the venue of your business event, also at no real expense to you. A company that’s known for giving excellent services will also ensure the satisfaction necessary to help maintain the machine(s) on site. As you may realize, mobile ATM machines are one of the best ways for you to boost your business sales. While you focus on selling your products and/or services at the event, just think of a situation wherein there may be people who won’t have even attended your event with the sole motive to purchase what you’re selling. But considering how you present the situation, they may be willing to purchase your goods but won’t be carrying cash. This is where mobile ATM machines can be immensely helpful to both parties. We advise you to consider every aspect of your special event. While marketing and publicity of the event is obviously necessary for people to know what you’re doing, you need to apply layman sensitivity to make sure you don’t miss out on anything that could lower the overall success of your event. Mobile ATMs have been proven to be definite revenue generators. If you look at the other side of installation of mobile ATMs, you’re not just gaining profit from the additional customers who get influenced to spend at your event, you’ll also be able to yield more gains on money from transactions. In simple words, you will secure more customers, more people spending money on your products and services, as well as an additional share of the transactions they’ll be making. ATMs are all about convenience. They are common in populated areas, providing a source of cash and other banking services. ATMs now utilize several diverse kinds of software. An ATM only increases the general value to a store. Despite the convenience, be mindful about when and where to withdraw money. If you have to use an ATM, choose one which is inside a shop or mall that’s well lit and make sure to guard you entering your pin number. The ATM inside a grocery shop or restaurant is usually always safer than one that’s outside on the sidewalk. Among the most frustrating things a person can experience, is that they’ve stood in line for an ATM that does not have any cash. It is essential that banks regularly maintain not only the ATMs, but in addition the surrounding areas too. Among the biggest mistake people make with ATM safety and security is not taking the opportunity to be careful of their surroundings. You should be mindful of your surroundings. Don’t prefer an ATM at the corner of any building. Be aware of people who are around you and also those who are trying to help you. Check for anyone sitting in a car parked nearby. Always ensure that no one is following you when you leave the ATM. On the off chance if you suspect anyone following you, immediately move to crowded and well-lighted location. ATM fraud can be initiated with your phone too. Scam phone calls are an enormous problem. The simplest way to safeguard your phone is to allow a passcode. Now wherever you’re or whom you need to hand the phone to, you are aware that another person isn’t getting into your private stuff, spending your funds, snooping through your individual and financial data. If you’re not careful you can compromise your safety. Robbers look for easy prey to stake out ATM in a low traffic area that is dimly lit. With little bit of carefulness you can protect your account as well as your life. Physical theft of cash and unauthorized withdrawals from an account are two prominent ways ATM theft can occur.